The Associated Press (AP) says it’s discovered five mass graves in the village of Gu Dar Pyin, Rakhine State, which they say was destroyed in late August. AP goes on to claim that the mass graves are evidence of a systematic massacre of Rohingya Muslims by the Myanmar government. The AP collected evidence following the discovery, including cellphone footage taken of the massacres. They also interviewed survivors living in Bengali refugee camps. Accurate death tolls are impossible to access, but at least 75 dead across the five sites have been confirmed and the villagers have estimated that as many as 400 in total could have been killed. AP also retrieved eyewitness testimony from villager Mohammad Younus, who claims to have been shot twice by the Burmese company that destroyed his village. He claims they looted the huts, then set them ablaze and opened fire on the fleeing villagers. Buddhist villagers aligned with the government then attacked the wounded with knives, slitting their throats or throwing them into the flames. "There were so many bodies in so many different places," said Mohammad Lalmia, 20, another villager who says his property became a mass grave. "They couldn't hide all the death." AP was unable to access the village of Gu Dar Pyin, which was allegedly the site of looting, arson, and a massacre that left at least 12 dead, as Myanmar security forces blocked their access. However, satellite photos confirm that the village has been destroyed. AP also retrieved videos of human remains melted with acid, which they claim was done to hide evidence of the massacre and prevent bodies from being identified. Myanmar denies that any of the claimed massacres took place and says only one of the five alleged mass graves exists: a burial mound for 10 "terrorists" in the village of Inn Din. In December, Doctors Without Borders estimated that 6,700 people, including 730 children under five, were butchered by Myanmar's military in August, the first month of the crackdown alone. 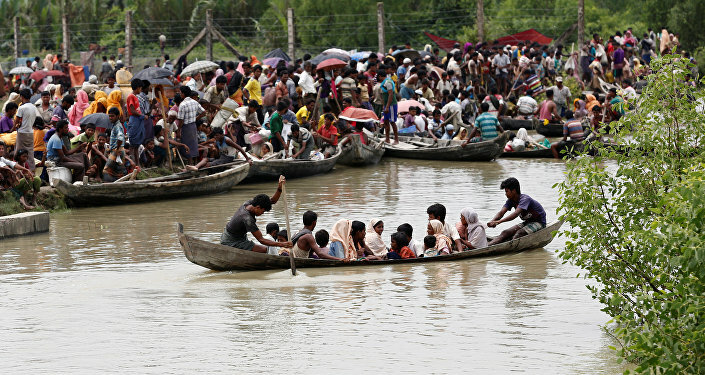 The International Organization for Migration also estimated that 688,000 Rohingyas have fled Myanmar since August. On Thursday, UN Special Envoy on Human Rights in Myanmar Yanghee Lee said that the operations against the Rohingya bear "the hallmarks of a genocide." "I think Myanmar needs to get rid of this baggage of 'did you or did you not,' and if proven that they did, then there has to be responsibility and accountability. No stones must be left unturned because the people, the victims, the families of the victims definitely deserve an answer," she said. 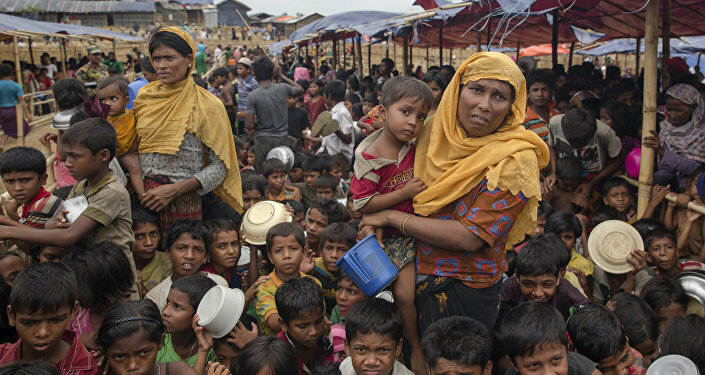 The international community has been generally passive towards the plight of Rohingyas. Many nations have condemned the atrocities committed by Naypyidaw, but none have gone so far as to levy sanctions against Myanmar or attempt to intervene. 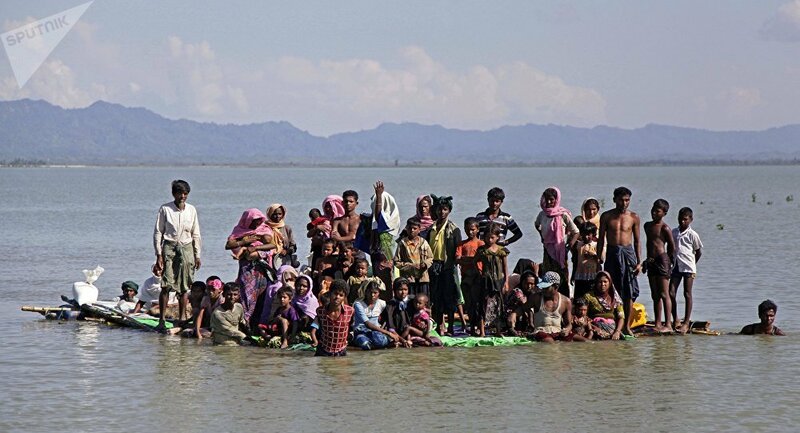 Phil Robertson, deputy Asia director for Human Rights Watch, issued a statement saying that the mass graves raise "the stakes for the international community to demand accountability from Myanmar." "The AP's report that [Burmese] soldiers brought along to Gu Dyar Pin village containers of acid to disfigure the bodies and make identification more difficult is particularly damning because it shows a degree of pre-planning of these atrocities," he added.